Beginning life as a penny stock, KPS shares have surged tenfold in the last 15 years. Major names from across Europe see the company as the foremost authority in the field of business transformation and process optimisation. Having closed the gaps between strategy, process and IT, KPS has contributed a great deal to the business of consulting under the guidance of its CEO and founder, Dietmar Müller. As a certified business jet pilot, Müller has found that the skills it takes to fly a plane are not all that different to those required in managing a company. One must have all the instruments, parameters and surroundings in view, and the pilot can at no point rely on any one tool. The parallels do not stop there: experience – in flying as in business – counts for a great deal when it comes to navigating uncertain situations, and it is here perhaps that KPS rises far above its closest competitors. 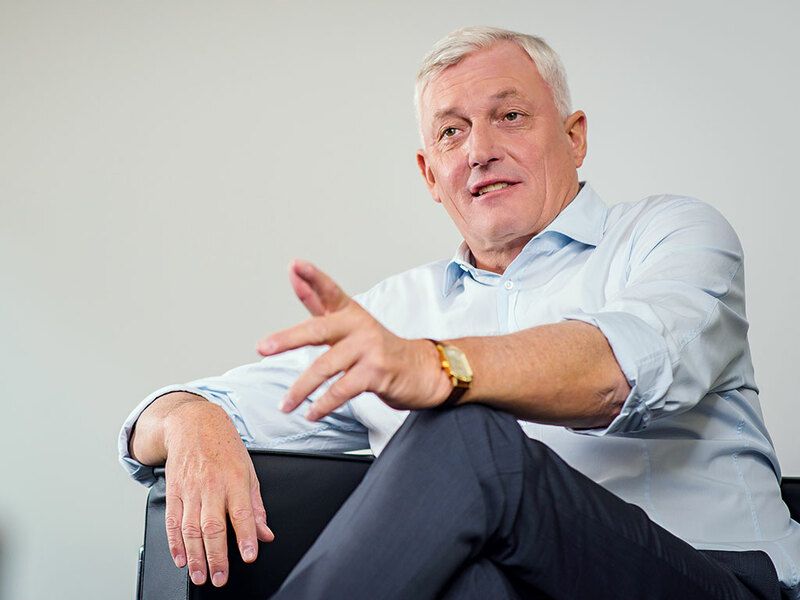 European CEO spoke to Müller about the major ways in which the consulting business has evolved, and about the secrets of success in retail, both now and in the future. In what key ways have you seen consulting change over the years? Consulting was a very different business back in the 90s. If a company wanted to change direction then, the ‘suits’ – or strategy consultants – were called upon to produce a detailed strategy paper, only for business process specialists to later set about optimising, redesigning and developing these processes. A process document, often several inches thick, was the basis for the following evaluation, and once the relevant software was selected, a chosen partner would implement the new systems and processes to support the strategic goals outlined in the first instance. In short, the process was a complicated one. It wasn’t rare for these steps – from strategy development to implementation – to take several years, only to be followed by several more years of work in the implementation stage. This is what is known as the waterfall approach to business transformation. The problem is that, from start to finish, information is lost, rediscussed or redefined because three or more different consulting companies are involved – for example, the process optimisers might challenge what the strategists have designed, or the implementers might not agree with the processes designed on paper, and so on. With this approach, often what was decided originally was a far cry from the end result. On top of this, the many stages undertaken over the course of several years neglected changes to the market over a specified timeframe, so that after years of hard work the business required changes all over again, and by that time neither the organisation nor IT were equipped for another project effort. Eventually, companies started to look for a way out of this vicious cycle, namely by seeking a single consulting partner who might enable them to reach their goals in a smarter, faster and more efficient way. What part has KPS played in this development? In the year 2000 there wasn’t a single consulting company capable of addressing these issues in a competent and satisfying manner, so the four founding members of KPS (all ex-IBM or ex-Plaut) decided to build that company. The joint vision was a consultancy that was not only able to define strategic goals and align the business along them, but also optimise and implement processes by utilising a standard software stack, SAP for example, all in a very short timeframe. The truth is that a software solution like SAP already has a process model integrated, and processes cannot be optimised without first being based on that model. Therefore, a consultant needs to understand three things: the industry, its state-of-the-art processes, and the software with its process potential. This requires years of experience and, as remains true to this day, experience is one of the central pillars on which KPS is built. The price tag of this model is also significantly lower, due both to the speed of transformation and KPS’ strong methodological approach. So this is the DNA of KPS: we help companies transform their business successfully in a very short timeframe, by allowing them to implement new ways of doing business faster, to generate ROI sooner – often during the project – and to react more flexibly to changes in the market. Businesses eliminate friction losses between strategy, process, application and implementation by working with a single partner, rather than with several ones all trying to leave their specific mark in their area of expertise. In this regard, KPS has been instrumental in shaping business transformation consulting. What differentiates KPS from its competitors? The company is now the market leader in business transformation and process optimisation for the retail, fashion and consumer markets, providing implementation-oriented strategy, process and IT consulting from a single source. Since its foundation in 2000, the company has built up a team of 700 retail consultants and is now generating sales of over €100m. The firm’s success is built on three central pillars: the in-depth industry and process experience of KPS consultants, the proprietary KPS Rapid Transformation approach, and an outstanding client base of companies like Hugo Boss, Lidl, Dansk Supermarked, Deichmann, PUMA, Nespresso and many more. Over the course of the company’s life, KPS has developed a quadrant model for strategy, process, application and technology implementation, along with a change management approach called KPS Campus. Our Rapid Prototyping approach allows businesses to see and understand what their future processes will look like at a very early stage. Developing this approach required a substantial investment in tools, contents and people, and above all it required a strong industry focus. Originally, this was the fashion industry for us, with Hugo Boss being one of our first very successful transformation initiatives, with KPS having laid the groundwork for their economic success today. We have had a long and trusting partnership with the company, throughout their strategic roadmap. Currently, we are implementing a new omnichannel business model. I dare say that today there is not a single process in fashion that KPS consultants don’t command. Over the years we have developed, optimised and constantly upgraded our process characteristics and function catalogues, as well as the strategic guidelines for this industry. In which sectors are you most active? Having established ourselves as the leader in fashion, we decided to leverage our knowledge and invest in the closely related retail industry. As a result, we are today the leading management consultancy for business transformation in the fashion, wholesale and retail sectors. We are the only consulting partner who can cover the entire omnichannel spectrum, from brick and mortar, to digital, to personalisation. In other words: from ERP, logistics and supply chain management, to e-commerce, mobile, finance, business intelligence, big data and customer management at all touchpoints. Over the last four to five years, we have successfully grown internationally and also have expanded into the consumer products market, where companies are reaching out to us because of our competencies in the digital area. The consumer products market is changing dramatically with the introduction of online and mobile capabilities, and this has put us in a position to leverage our experience from the retail side. How is it that you’ve advanced the concept of business transformation? When we first started out in 2000, business transformation was not a well known term or concept. There were strategy, process optimisation and application, and technology experts – usually speaking different languages and not able to deliver on an all-embracing level. As a company, we have invested heavily in our industry focus and have been – and still continue to be – determined to build a practice that covers the entire business and process spectrum, from supply chain, logistics, warehousing, ERP, finance and controlling, through to e-commerce, mobility and personalisation on a strategic, process, application and technology level. 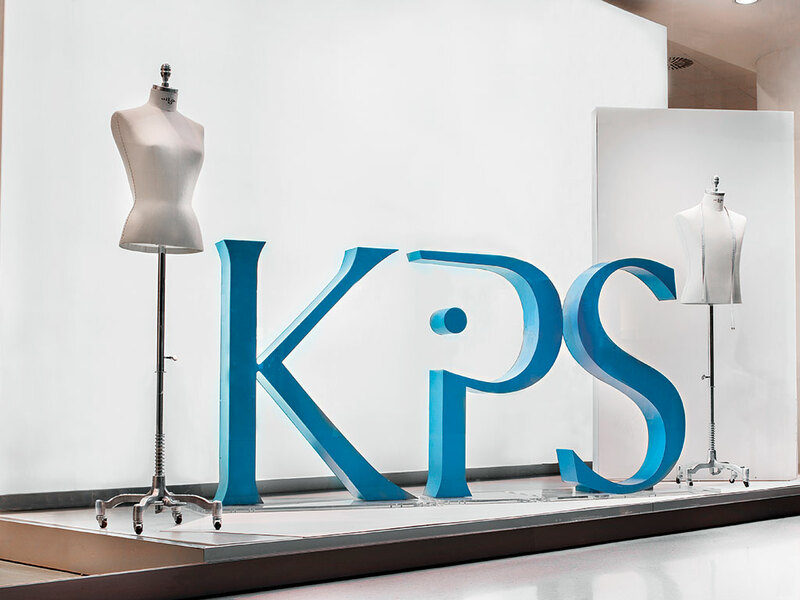 What’s more, through the years KPS has continually been rated among the top consulting partners in the entire retail and fashion business, and our team of 700 consultants is widely regarded as the very best in the industry. With an average annual increase in both revenue and operating profit of 20 percent, we are also the fastest-growing management consultancy firm in Germany. What trends should retailers be most aware of? Traditional brick and mortar retailers continue to see their sales migrate to online channels – at times to devastating effect – and their ability to reach certain customer markets is dwindling. To be able to initiate a new dialogue with customers, from-scratch service and process innovations are required across the board, which calls for a sound strategy and a clear roadmap. Physical stores built over decades are the most powerful weapon in the battle against online retailers. The problem is, that weapon has essentially been locked away in a silo on the periphery of a new e-commerce channel and, while many retailers are already engaging with customers on both online and offline channels, including things like online purchasing and in-store collections or returns, what they really have to do is build up an integrated omnichannel capability and add a personalised dimension. Retailers need to know their customers personally, by observing them and providing personalised services in the physical store, on social media, at call centres, and at every other customer contact point to hand. In doing so, they must master integrated resource planning, mobile responsiveness and big data. They have to make sure they are with their customers every step of the way, tracking their movements. As soon as they have achieved this, they will have finally arrived in the realm of real-time analytics, where the likes of Amazon are already active. On the other side, thus far we haven’t had much opportunity to experience the Amazon brand first-hand in an actual store. While they have smart logistics operations, without that true physical store they can’t be classified as omnichannel-capable in the way we define it. Google’s first fully branded store is actually a store within a store, in the flagship branch of UK retailer Currys-PC World. Branded as an ‘experience’, the store is design-led and is intended to evoke the look of the Chrome browser. Though rumoured to be planning a large store in Manhattan, Amazon’s first physical foray is a customer pick-up and drop-off location, on the campus of Purdue University, US. The outlet is staffed, and is linked to the Amazon Student scheme. US gadget seller ThinkGeek developed as a pure online brand, which fitted well with its tech-savvy client base. However, having being acquired by GameStop earlier this year, the company has now opened a store in Orlando, Florida. One of the UK’s fastest-growing companies, homeware brand Loaf opened a store in London this year, with the goal of making it “the most laid-back store in Britain”. The company plans to open 10 more stores in the next few years. How can retailers best adopt an omnichannel strategy? Right now we are basically seeing two different coping strategies. The first involves a series of knee-jerk reactions to the pure players’ attacks: ‘we have to get our own online store up quick’, ‘we have to get on Facebook’, and ‘we need to enable online purchases and in-store collections’. In a way, this is the classic approach: break the solution down into segments, create individual projects and start to solve them one by one. This makes the transformation process more manageable and keeps the cost of each investment relatively low, as you expand existing systems and integrate new features. This is where the cracks start to show; the solutions keep getting more and more complex, and it gets more and more expensive to maintain the status quo. So, while taking you in the right direction, this will only work up to a point. Today’s retailers all have a website, they all operate customer loyalty programmes, they are present on at least one of the social networks, and they are beginning to create their first multichannel capabilities. Omnichannel is much, much more than that. It requires retailers to completely synchronise all of their product and customer movements in real time. That’s why we opt for the second strategy: building a completely new omnichannel platform from scratch and migrating the entire operation to it. That way, you avoid the complexities of your existing systems and also enable people to think along truly new ways of doing business, rather than slowing them down with the limitations of today’s processes. Essentially, we recommend building a brand new facility on a greenfield site. This way, retailers can integrate all of the tools – foremost among them a state-of-the-art IT infrastructure – that today’s pure players are already using, because they don’t have to grapple with an already established system. The point is this: the functionality available in today’s standard software packages is so sophisticated that we can build 80 to 90 percent of the new platform using out-of-the-box solutions. We’re advocating building a new house instead of renovating old buildings – don’t keep throwing money at enhancements for a legacy system, invest it all in achieving a quick turnaround with a brand new build. In a way, this sounds like we’re asking retailers to just throw away years of investment in e-commerce, social media and other multichannel initiatives, but the decisive thing is that all of that expertise they have built over the years won’t just disappear. On the contrary, that expertise has a far better chance of driving success with this new, more radical approach. Any retailer that has already built a website has all the skills they need. And if they are addressing personalisation, mobile capabilities and big data, they’ve already assembled the players they need to move into their new house. Because we significantly accelerate turnaround times, even for the most complex transformation project, we don’t have to spend time creating the as-is baseline; we can direct our focus right to our clients’ vision for the new omnichannel company – and how to best position their existing strengths. Of course, the types of projects we are dealing with are as diverse as the retailers in the marketplace, but I would say that our approach can offer a 30 to 40 percent advantage in turnaround times, scalability and, therefore, cost benefits compared to traditional transformations. During the past two years we have built up KPS ‘fablab’ teams and operations in several locations. These teams work with our clients and bring along our process catalogues for retail and fashion processes down to the most detailed levels. Depending on the scale of the transformation, they can map all of a retailer’s processes into a prototype within six to 12 months at most. After a total of 12 to 18 months, 24 months at most, we can start making the move and go productive. We find that rapid turnarounds are more decisive for our clients than the cost advantages – what counts is being completely omnichannel-capable within the shortest time possible. What are your predictions for the future of retail? We see there being three major developments in the future of retail. First, traditional retailers will become completely omnichannel-capable in three to five years – that is the benchmark customers expect. Second, the balance is going to shift within the sector. The most innovative retailers will lead from the front, not least thanks to their physical store presence. We also see pure players like Amazon and eBay trying to keep pace by opening their own physical storefronts. And third, we are likely to see more successful consumer products manufacturers building their own branded retail presence.